On Friday I was featured in one of my favorite online publications for women entrepreneurs, The Divine Living Magazine. 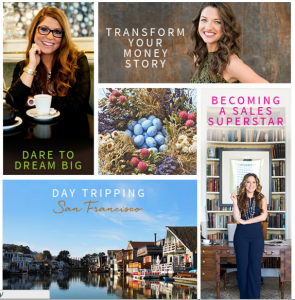 In the article I share three tips on how to transform your money story. Tip #1 is ringing very true for me. Trust me when I say this, your belief system will make or break you. This opportunity showed up for me after I surrendered and developed unwavering faith in myself as an entrepreneur, not before. Do you want to be featured on Oprah? Do you want your article published on Huffington Post? Start believing it, feeling it, visioning, and acting “as if” you’re already there. That’s when the magic begins.